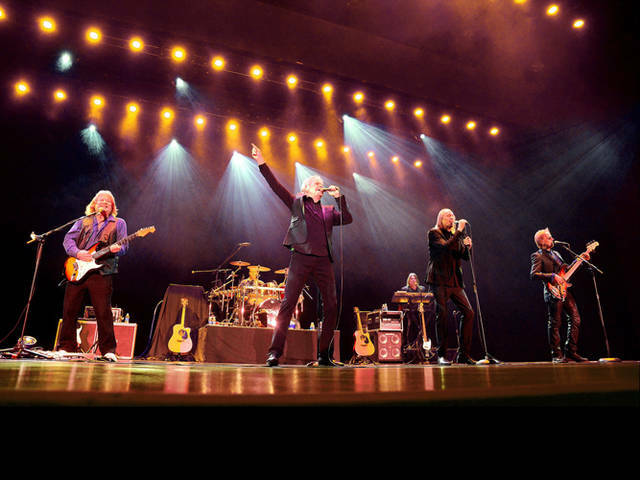 Three Dog Night will perform at the 2019 Darke County Fair along with special guest Starship. GREENVILLE — The Darke County Fair Board announced entertainment for the 2019 fair and offered updates on plans for new barn facilities at its monthly meeting Wednesday night. An announcement on the fair’s Facebook page revealed that the band Three Dog Night will perform during fair week this year along with special guest Starship. Tickets for the event go on sale Feb. 23. The board also announced updates to its recent fundraising efforts. In October 2018, board members voted to hire Hughes’ company, a nonprofit consulting firm based in Cincinnati, to conduct a feasibility study to determine whether enough support exists in the community to raise the funds needed for construction of the new barns. These plans were called into question, however, following the Oct. 25 fire that destroyed the existing swine barn. That incident remains under investigation. In January it was announced that Cargill, a multi-national agricultural corporation with facilities throughout the Midwest (including Ohio), had agreed to donate $500,000 toward the construction of the new facilities. The board voted to accept Cargill’s donation at a special meeting last month and authorized Hughes to begin moving forward with fundraising efforts. Controversy erupted during last month’s meeting when the possibility of moving the new barns to the south end of the fairgrounds was raised with board members fearing this could affect the terms of Cargill’s donation. Greenville attorney Chance Cox said he had spoken to representatives at Cargill and thought this would not be an issue, however, saying the company had no stipulations as to size or location, asking only that its name or company logo appear somewhere on the finished structures. “They’ve agreed to scrap most of their usual terms and conditions, as this donation is more about goodwill than some others,” Cox said. The board will meet next week, according to president Dean Neff, to discuss final specifications for the buildings. Neff said construction could start soon, with at least the swine barn slated to be finished before the 2019 fair. “We’re definitely going to shoot for that,” Neff said. This entry was tagged concert, Darke County Fair, Darke County Fair Board, Fair, fair board, Starship, Swine Barn, Three Dog Night. Bookmark the permalink.